PLYMOUTH ARGYLE SUPPORTERS ASSOCIATION LONDON BRANCH | PASALB FC Victory! 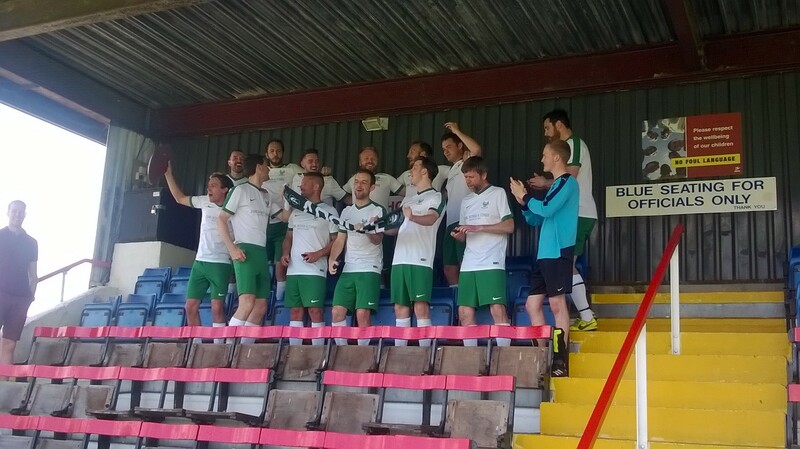 The photo shows PASALB’s victorious football team lifting the APFSCIL Plate after a 4 – 1 win over Panathanaikos. A good performance too, game under control pretty well throughout and some fine goals including a “Gazza 96 esque” flick over the goalie’s head before coolly passing to the net, a ‘traditional’ bit of winger to byline and a low cross that left the defence all at sea and a neat passing move at the end that left the scorer totally open and free to score anywhere he chose to set the seal on the win. 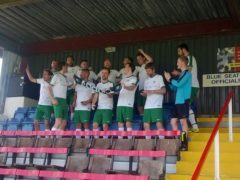 Well done to all the players in our victorious football side!